Toyota Motor Corp. said Thursday about 270,000 cars sold worldwide - including luxury Lexus sedans - have faulty engines, the latest quality lapse to hit the automaker following massive global recalls. Japan's public broadcaster NHK and Kyodo News agency said Toyota, the world's No. 1 automaker, was considering recalling the vehicles but didn't name sources. Toyota spokesman Hideaki Homma said the company was considering measures to deal with the problem of defective engines that can stall while the vehicle is moving. He would not confirm a recall was being considered. Toyota said there have been no reports of accidents linked to the faulty engines. It did not say how it learned about the engine troubles. 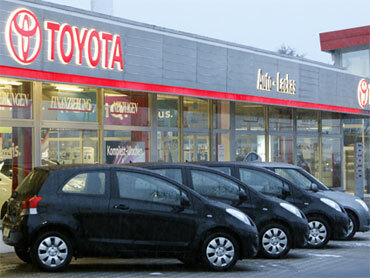 The automaker's shares fell 1.1 percent to 3,045 yen in Tokyo on Thursday.